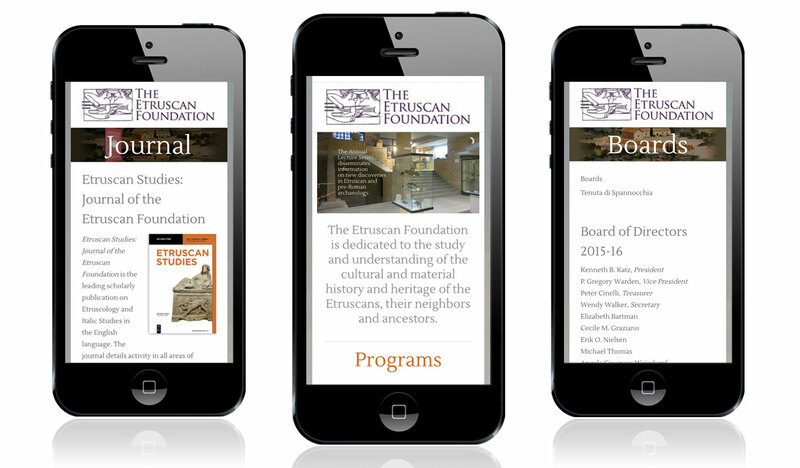 As a small, non-profit organization, the Etruscan Foundation needed an updated, mobile-responsive site that would allow students and academics to easily access information, applications and publications. We created this site to feature dynamic images of their research sites, and designed the home page and navigation for easy scroll and click on phones and tablets. The site also included a simple shopping cart for processing membership payments.